Many real estate investor clients like to use Code Section 1031 like-kind exchanges as a way to dispose of one property and acquire another one in a tax-deferred transaction. 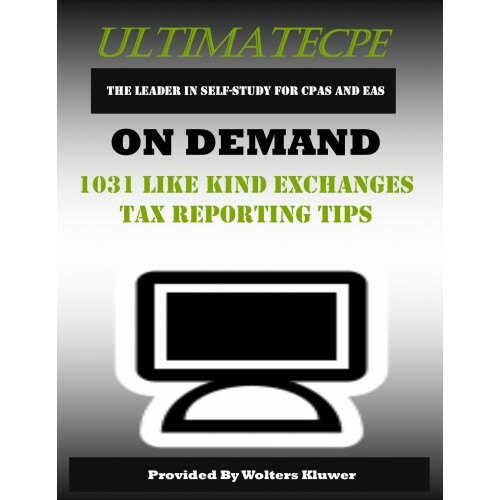 But the details of these transactions, as well as increased IRS scrutiny, mean tax preparers must take care when moving these transactions to the Form 1040 to achieve the benefits clients expect. Section 1031 allows a deferral of gain when property held for investment or business use is exchanged for property of a like kind also to be held for investment or business use. Most like-kind exchanges are four-party arrangements involving a qualified intermediary (QI). Section 1031 sets specific time periods on the identification and receipts of replacement property. Related-party exchanges present special challenges and the IRS has aggressively gone after “indirect” related-party exchanges. Partnership exchanges when one or more partners want to cash out are also common problem fact patterns. Form 8824 must be attached to the return for the year of the exchange. This form reports the basic facts of the exchange (e.g., amount realized, realized and recognized gain, and basis of new property) and also requires related-party exchange reporting. Form 1065 has been changed to target partnership “swap-and-drop” and “drop-and-swap” transactions. Join nationally recognized tax practitioner and instructor James Hamill, CPA, Ph.D., a tax adviser as well as a QI and exchange accommodation titleholder, for a practical review of the tax reporting issues that most commonly arise in like-kind exchanges. Dr. Hamill will discuss tax preparer permanent file records, Form 8824 and Form 1065 potential traps and how to ensure that the client’s exchange satisfies professional responsibilities for reporting. 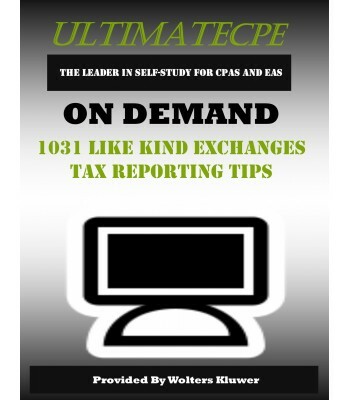 CPAs, EAs, tax preparers and other tax professionals with responsibility for advising clients with like-kind exchanges and reporting those exchanges on tax returns.